Vegetarian for Meatlovers - A yummy vegan GF 'BALT' for lunch? 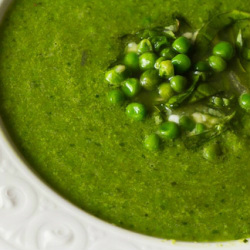 Delicious pea and basil soup - great hot or cold! I'm going to be uploading some of my favourite salad recipes in the coming days, so watch this space!